A non-profit nursing and rehab facility. Congratulations to Carla Diaz who has been chosen to receive the Spotlight on our Staff honor for January at Runningwater Draw Care Center. Growing up here, Carla became a part of the RDCC family when she began training in 2007 to receive her CNA certification. Her first assignment was to work in Periwinkle, the secured dementia unit, and she learned to love the people she was serving. She is presently serving as CNA Training Coordinator. "I really do love my job<" she says. "I feel like this place is my second home." Carla and her husband, Manuel, live in Dimmitt and are parents of six year old Natalie and three year old Nathan. The children and Manuel are number one for her through the hours she is not on duty at RDCC. Hobbies, she says, can wait until that day when her children leave the next. She smiles when explaining variety in her life. "Natalie is quiet and Nathan is a wild one." Carla, we are proud to claim you as one of our special staff embers of the RDCC Family! Congratulations to Louise Thompson our January Resident of the Month at Runningwater Draw Care Center. She joined the RDCC family in 2016. She grew up in Lockney and married Billy Thompson and settled down in Plainview. They became parents of two daughters, Cindy of Florida and Audra of Plainview and one son, Max Ray. She proudly claims three grandchildren and four great-grandchildren. She and Billy established Thompson TV Repair on Quincy Street in Plainview. Louise had her own little studio corner in the front where she could display her hobby of china painting. Some of that talent in that field has been featured in the China Star restaurant. Louise served for a time as a volunteer at the hospital in Plainview and she was very active in RSVP. She also loved to quilt and was active in her church, St. Paul's Lutheran Church. We proudly claim you as one of our special residents, Louise! Congratulations to Rolinda Mathews as the recipient of the Spotlight on our staff for December. Rolinda graduated from OHS in 1976 and immediately began studying to become a nurse. She earned a coveted LVN degree. Her first job was with Plainview Hospital. During that time, she worked at Aday Pharmacy. She came to Runningwater Draw Care Center as a part time nurse and did not move to full time until 1996. She became manager of Sandhills Village Assisted Living in 2000, serving until knee surgery brought what she thought would be the end of her nursing employment. Her love for her work and the ongoing need for nurses brought her back to RDCC. "I love my work and I love the residents - all of them - and care for all our staff," she says. Rolinda is the proud mom of a daughter, Linda, and granddaughters Delaney, Karsyn, and Savannah. Then in 2007 and marriage to Bruce, she gained four more children - Rose, Jennifer, Jessie and Sara. They gave her six additional grandchildren. Thanks, Rolinda for being an important member of our special staff. We value you! Congratulations to Ordie Gentry, our resident for the month of December. She became a member of the RDCC Family in May of 2016. Ordie moved to Olton in 1978 to be near her only child and her family, Barbara and James Brooks and their children Jimmy and Tanya. Her life has since been blessed with precious great grandchildren - Tammy Brooks and Alana, Trent and Amber Debnam. A faithful member of First Baptist Church, Ordie is a former beautician. She found great rewards from her hobby of ceramics and later with porcelains. She liked painting and working in her yard and also enjoyed cooking and canning. Ordie also enjoyed fellowship with friends as a member of Olton Garden Club and Olton Home Demonstration Club. We are so proud to recognize you as our Resident of the Month, Ordie. Congratulations to Selena Diaz, Runningwater Draw's latest selection to our Spotlighted Staff honor roll. A lifelong resident of Olton, Selena is our Housekeeping/Laundry Supervisor. After graduating from OHS in 1997, she married Michael Diaz. They will celebrate their 21st anniversary this month. She and Michael are parents of three daughters, Mikayla, 17 is a member of the senior class and will graduate in May. She's planning to enroll in college courses and is strongly considering a nursing career. Marissa is 15, a ninth grader and cheerleader. Mariah, 10 is a fourth grader. 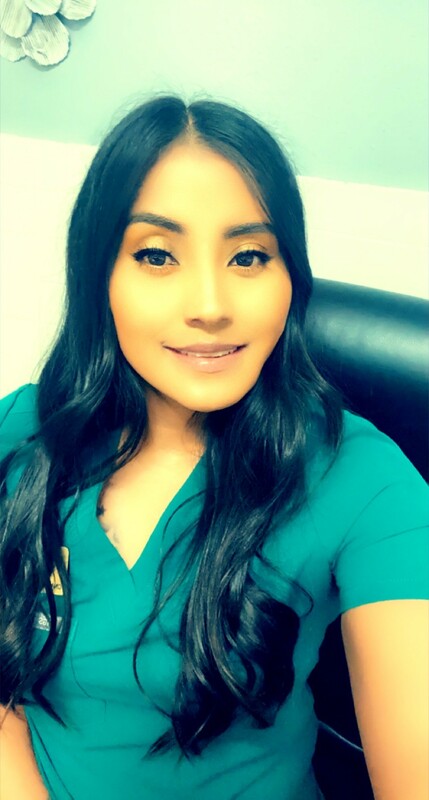 Selena earned her Nurse Aide certification while training and working at RDCC at the age of 16, and worked for the facility several years. She also worked at OISD for 17 years as a substitute teacher in all 3 campuses and also worked part time at Anna's before returning to RDCC. She loved being involved with the facility while her grandmothers were residents. When off work, she fills her time by being involved with her daughters. That, she says, is much better than hobbies. She does enjoy reading and exercising. She likes her job, reflecting on it by saying, "I want to be as good as Mary Bueno was." We're proud to call you ours Selena! Congratulations Olga Berlanga, our Resident of the Month at Runningwater Draw. Olga has been a resident of RDCC since 2016. Cotulla, moving with her family later to Morton. At 18, she married Vincent Richard Perez and they made Olton their home. They became parents of two sons and two daughters. David, their eldest died in October 2017. Richard and Gilda live here and Diane resides in Lubbock. after Vincent passed, Olga later remarried Sabino Salazar and gained another daughter, Elizabeth. She lives in Hereford. Olga is the proud grandmother of five and great-grandmother of five. Photos of those special members of her family adorn the wall in her corner of the room she shares with Margie Coen. Olga has adopted Margie as a member of her family. She enjoys participating in activities sponsored by Inspirations, a non-profit aiding senior citizens based in Plainview. She is also an avid puzzle fan. Before coming to RDCC, Olga enjoyed needlework, especially crocheting and knitting. She loves playing dominoes. We are proud you're one of ours, Olga. Congratulations to Courtney, Runningwater Draw's latest selection to our Spotlighted Staff honor roll. She has been a valuable member of the RDCC staff for a year. A resident of Olton all her life, she is married to a home town OHS graduate, Juan Jimenez. They are proud parents of a son, Blaine, who is is seven and a daughter, Preslee, four. Family togetherness is more important than hobbies for Courtney. They especially enjoy family oriented movies together. Courtney graduated from Olton High School in 2007 and soon began studies to become a nurse. 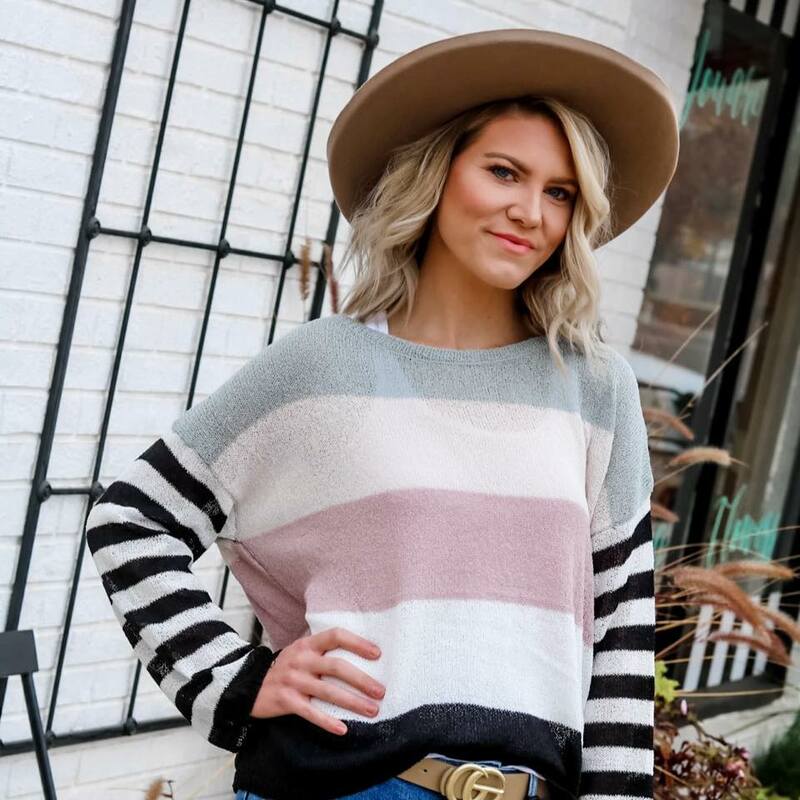 She earned her Nurse Aide Certification in classes here in 2009, then gained her prized license as a Vocational Nurse through South Plains College's branch in Plainview. Resident care is more than an assignment for Courtney, it's her favorite duty as a nurse. She loves each resident and lives the RDCC motto, "We Care . . . Because We Care, We Serve." We are proud to have such a valued member as Courtney on our RDCC staff! Congratulations Apolonio Luera, our Resident of the Month at Running Water Draw. Polo has been a resident of RDCC since 2016. He grew up in Melvin, or as he reports, "deep in the heart of Texas." He had one brother and ten sisters. Only three sisters are still living. Polo was never a stranger to work. His first job was with a crew harvesting cactus. He soon became acquainted with a tractor and spent much of his working life in association with tractors, a job he loved. He came to Olton in 1945 for the cotton harvest. He worked in Lubbock with Seed Co./Coker Seed Company for 25 years before retiring for the first time and returning to Olton. Here he re-entered the work force, working with Steve Spain until retiring again, this time when he turned 80. Polo is the proud father of a daughter and a son, both living in Lubbock. Another son is deceased. Polo lived in Lubbock until 1992 when he came home to Olton. He has been married to Amelia since 1981. A broad smile comes quickly when Polo is asked how he found time for hobbies. His favorite hobbies are dancing and hunting.